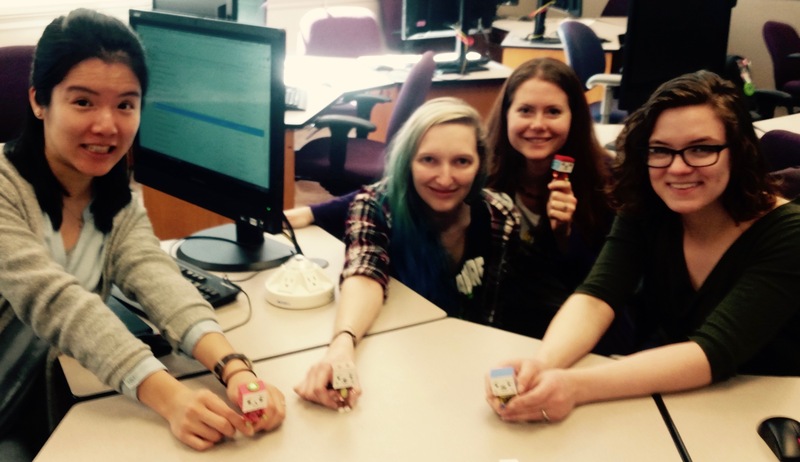 On April 5, the UW Libraries and CIC co-sponsored an event on teaching with board games. The libraries have six board games (Risk, Betrayal at the House on the Hill, Settlers of Catan, Pandemic, Dominion, and The Resistance) available for check-out as part of a pilot program. 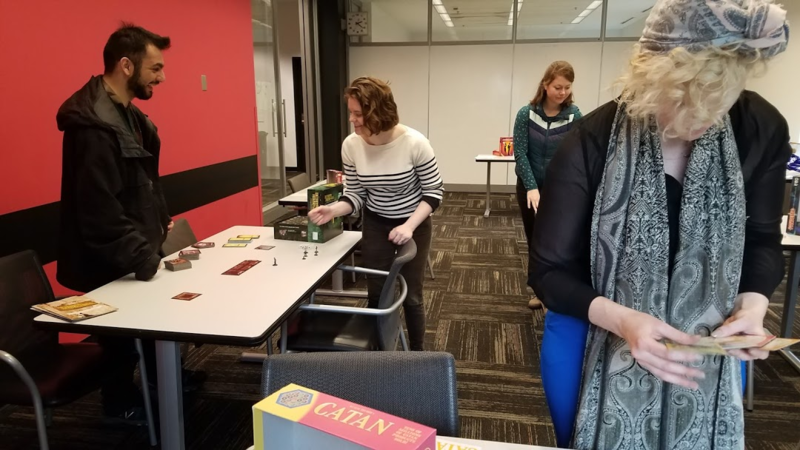 At our event, participants rotated through stations and each learned about three of the six games and brainstormed how they might use these games as part of their teaching. In this post, I will recap overall takeaways and present specific ideas related to three of the six games. Games are ideologically-rich, and they are an excellent site for critical analysis. Dominion and Settlers of Catan, for example, replicate a settler-colonialism narrative whereas Pandemic offers up a narrative of consent and transnational, interdisciplinary collaboration. One attendee, Dorian, drew upon scholarship from comic studies to point out that games are easier to analyze than books or movies because of distance from the material. Though it is not usually possible for all students to play a game at the same time, we came up with several solutions: 1) students can check out and play the game as homework, a task that would also orient them to the library’s space reservation and course reserves systems, 2) instructors can use a “fishbowl” structure, in which students alternate between playing the game and analyzing play while observing their peers, writing reflections and engaging in discussions on both experiences 3) students can use free online clients such as Dominion Online (https://dominion.games/) to play some games, and 4) for some of the games, instructors can request additional copies via interlibrary loan. Games offer a site for students to engage with multiple modes (e.g. tactile, visual, spatial) and reflect on the literacy skills they used to learn and play the game. Betrayal at the House on the Hill (click the link for a playthrough video from Wil Wheaton’s Tabletop series) is a narrative game in which players explore a house. Players explore a house by flipping over tiles and moving figures representing their characters from room to room. Characters’ traits change through items and rooms they encounter (e.g., a book might cause your character to gain knowledge). Though players begin on the same team, the “haunt” occurs partway through the game, and one or more players may turn traitor. 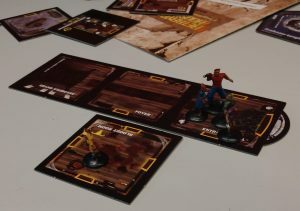 The traitor(s) and the heroes (the remaining players) each read a separate set of new rules and story elements that affect the rest of gameplay. The game contains 50 haunts, so the gameplay experience varies with each new playthrough. Betrayal lends itself to analyses of narrative construction and performance as well as genre analysis and production. 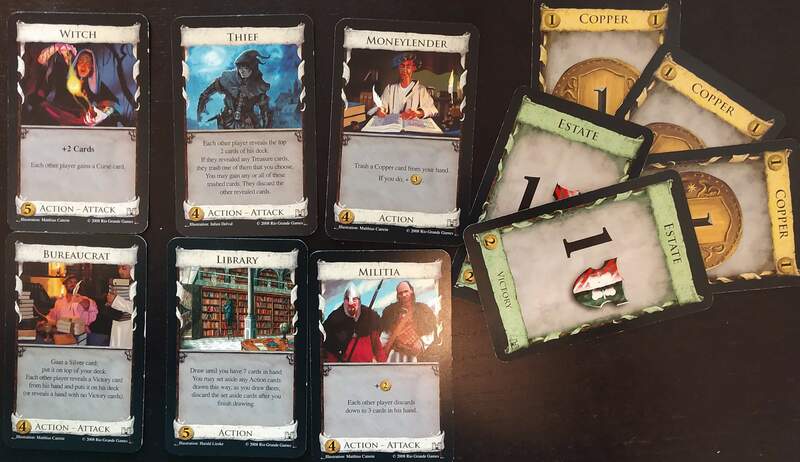 As students play multiple Betrayal scenarios and/or peruse the game manual, they can take notes on the conventions of the genre of these scenarios. Then, individually or in groups, they can create their own scenario to be playtested by their peers. This activity can generate conversation on the topics of genre, uptake (i.e., do the rules in the scenario “work?” What kind of play is taken up by the playtesters?). Students could even create scenarios that teach particular course concepts (e.g., players need to construct a complex claim in order to successfully leave the house). Pandemic is a cooperative game in which 1-4 players act as the world’s top public health specialists collaborating to stop four pandemics. We noticed as we were discussing this game that it facilitates narratives about cross-national collaboration–the players can travel easily between cities, and though there are four regions, there are no explicit borders between nations–and about consent: the dispatcher role card states that this player must gain “consent” before moving another player on the game map. This game offers opportunities for discourse analysis and remix. 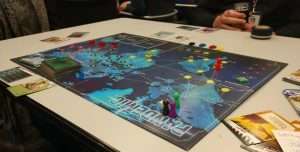 Specifically, we thought about how students might revise Pandemic to reflect real-world conditions such as unequal resources privileging the global North over the global South, international borders hindering collaboration, and separate research agendas and incentives for each player (think culture jamming for the classroom). 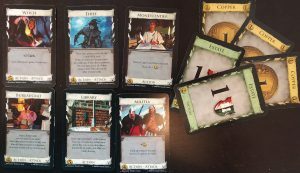 Dominion is a deck-builder (i.e., a game in which each player acquires, draws, and plays cards throughout the game). The rules of the game are simple: players play cards, take actions (denoted on individual cards), and buy cards. But wait! It must be something in the air; several other monarchs have had the exact same idea. You must race to get as much of the unclaimed land as possible, fending them off along the way. To do this you will hire minions, construct buildings, spruce up your castle, and fill the coffers of your treasury. Your parents wouldn’t be proud, but your grandparents, on your mother’s side, would be delighted (Dominion game manual). There is much to analyze in the opening text alone, and the cards offer even more material to unpack. We noticed, for instance, that most of the cards are gendered and raced in ways that uphold stereotypes. We wondered how the game itself would change if the images on the cards were replaced and nothing else were changed. Students could undergo this project as part of a visual analysis or a word inquiry project, investigating the origins of words like “witch” and “bureaucrat” and interrogating the relationship between card names, images, and game mechanics. Certainly, there are many more ways to use these games in the classroom. What are your ideas? Feel free to share in the comments or at our next event on May 3rd, which will build upon the first. Participants will “playtest” a curriculum that I am developing based on the insights from the first event. I hope to see you there! Acknowledgements: Thank you to the attendees of this event for collectively generating knowledge. I am especially grateful to Elliott Stevens for his continued support in facilitating this partnership with the libraries and to Holly Shelton and Ahmed Al Awadhi for serving as roundtable leaders (as well as photographers and editors). At the Praxis 2018 conference, Gust Burns, Kevin deVoss, and Katie King facilitated a roundtable discussion based on their research on the implications of the rise of using translation apps in higher education. Burns discussed a Marxist critique of machine translation app like Stepes. In 2015, the multinational localization company CSOFT debuted Stepes, the first on-demand and just-in-time human translation platform. Self-described as the “Uber of translation,” the platform contracts individual bilinguals to translate texts on-demand for business customers. As the Stepes website puts it: “By seamlessly connecting businesses and individuals with the world’s linguists through our on-demand translation eco-system, we help break down language barriers between businesses and their customers, and among nations and people.” In Burns’ words, we can understand the mechanics of Stepes, along with both machine translation in general, by thinking with Marx in the Grundrisse, about machines, as manifestations of fixed capital that function not to “transmit the worker’s activity to the object,” as we normally think about labor in early industrial and even Fordist production, but rather so that “the machine’s work, the machine’s action” is maintained and supplemented by the human activity, the latter which becomes “a mere living accessory of this machinery” (692, 693). In other words, as human activity becomes subservient to the active determining functionality of machinery, human capacity is increasingly inseparable from its position within machines, it becomes fully subsumed, in a real way, under capital. In deVoss’s work on computer-assisted language learning (CALL), he mentions much of pedagogical literature on CALL seems to focus on questions of “best practices,” and ways to implement particular tech products into the classroom. But deVoss points out that what is missing is sufficient critical inquiry into these products, and of the ideological assumptions behind them as they spread into the wider academic ecology. Tech commodification has certainly touched postsecondary English language education significantly. For instance, Duolingo, which is probably the most popular language learning application currently on the market, has already set up English placement testing services within a lot of well-known universities. Many of the most popular massive open online courses (or MOOCs) through for-profit services like Coursera and edX, and who sponsor coursework at many American universities, have developed a lot of English language learning content both domestically and internationally. Using discourse analysis methods, deVoss looked at media statements made by the creators of these kinds of tech-ed companies and found that the word “disruption” kept recurring with regard to the higher education system. “Disruption” is a kind of loosely-defined buzzword within Silicon Valley and associated with a variety of meanings, including: “innovation,” “marketization,” and even “destruction.” Of course, in these accounts, tech-ed industry figures unanimously viewed disruption as a necessary, positive project for the higher education system. But deVoss also finds that the “disruption” of English language education in higher ed was associated with a lot of troubling trends, including: the introduction of more student fees, higher course costs, low course completion rates, and disinvestment in faculty and academic student employment and compensation. In King’s research on Google Translate as a tool for literary translation, she argues that the process for “training” an AI algorithm is not only something we humanists can understand but also should understand, and teach. A machine translation tool is just that, a tool that has been created by human beings, and not all the available tools perform equally. Google Translate not only did not perform well translating a complex literary paragraph from Spanish into English, it also did not learn from King’s feedback over time. But King found other researchers in Europe who have experimented with building their machine translation tool specifically trained to translate literature between French, German and English. Their results were limited but much better. King’s advice to researchers and instructors is to inform themselves for the benefit of their own knowledge about these evolving tools, and to introduce to their students the concept that they must check the results of translation tools carefully. While teachers should be aware of the possible downsides of using translation technology as part of their pedagogy, encouraging multilingual students to use their human translation capacity has been found to be a helpful writing pedagogy. For example, Eun-Young Kim, an English language and second-language writing scholar at Southwestern Adventist University, asks her Korean and English speaking multilingual students to do translation exercises in order to raise students’ metacognitive awareness about how they write and things they may have missed in their writing process. In the first exercise, students were asked to read the final versions of their English essay writing and translate their own writing into Korean. Kim emphasizes that they should translate their writing as if it had been written by someone else. After finishing the translation, the students were asked to hand in a written response describing what they felt and learnt while translating their own writing into Korean. “I had to revise my writing four times while I was translating. Some sentences are smoothly connected, but others were a little too forced. I also realized that I missed some details because I was concentrating on my English. I like my introduction better this time. I could discover my mistakes more easily when I translated my composition into Korean.” (Please see the rest of the quoted students’ reflections on the article here). It’s a great result for students’ self-assessment through translation that students are reporting they could have had better sentence transitions, logical connections, and more details in the writing. This level of self-assessment seems to engage students in a process of possible substantial revision that goes beyond merely checking for lower-order concerns such as conforming to Standard Edited English grammar or mechanics. Though the second exercise is more complicated with the possible room for misreading and misinterpretation by a peer-partner, both of the exercises indicate that when multilingual students engage in translation between their languages, it heightens their rhetorical awareness and self-assessment ability to more clearly see where the students might have fallen short in composing their text and the different choices they can make because of this awareness. Multilingual students might also begin to critically reflect on cultural rhetorics and contexts behind using a particular language which might help them become sharper language users and writers. Eun-Young Kim, “Using translation exercises in the communicative EFL writing classroom,” ELT Journal, Volume 65, Issue 2, April 2011, Pages 154–160. Hello! 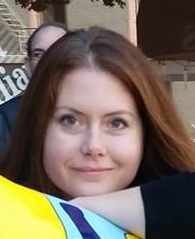 I’m Sara Lovett, the new CIC/182 AD starting this quarter and continuing through next winter. Sumyat has completed her term as the CIC AD, and she is teaching this quarter, so you can contact me with any 182/CIC concerns. Any class can be multimodal and/or make use of technology, so even if you’re not teaching in a CIC classroom this quarter, please get in touch if you’d like to talk about how to engage with multimodality through your teaching. I am also now your primary contact (slovett@uw.edu) if you would like to reserve a CIC classroom. My own interest in multimodality is rooted in in game studies and my experience as a board gamer. I’m the Graduate Representative for the Council for Play and Gaming Studies, a cross-institutional group of writing instructors who research and teach through and about games. I’m more than happy to talk about teaching with games. 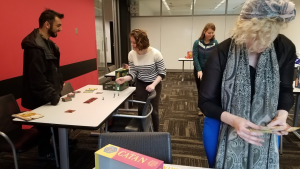 In fact, EWP and the UW Libraries are running a workshop on Friday, April 5 in Red C in the Research Commons (Allen Library) to discuss how to teach using the board games that the library has on reserve. Don’t let this shameless plug be go to waste–come talk about games with us on Friday! In addition to game studies, I focus on the role of access, social justice, and civic engagement in writing education through the lens of antiracist pedagogy. I’m happy to talk about any of those topics too if they are of interest to you. Keep an eye on this blog; I’ll be posting periodically throughout my time as the CIC AD. In the meantime, reach out–I always love talking about teaching! Since the ways we teach writing especially nowadays may inherently involve digital literacies and public-facing writing media, we’d like you to be cognizant of ensuring your classroom practices comply with the FERPA law. Here are some things to keep in mind for assignment design and assessment, and some resources for more info. FERPA (Family Educational Rights and Privacy Act of 1974) says that educational records (which include not only students’ grades, but also records that identify students’ course numbers/titles/times/instructors) cannot be revealed to a third party without the written consent of the students. Because UW cannot guarantee the security of internet-based resources outside the UW NetID, keeping student records anywhere else is a risk (and UW can’t help us legally if there’s a data breach outside their NetID protection). store electronic copies of student papers or grades in your personal Google Drive, Dropbox or other cloud service. Check out here for a detailed overview of FERPA from the UW registrar office. Obtain students’ written consent whenever you ask them to use a non-UW-protected digital tool (I’ve included a sample consent form below). Note that if students create anonymous user names, you do not have to get their written consent, but you do need to be prepared to provide an alternative for students who have legitimate concerns about putting their work online. Give students a viable alternative to using the non-UW-protected digital tool: they should not be penalized in any way for not using the non-UW-protected tool. Taking these simple steps allows you to safely and conscientiously use great digital tools and resources in your class. Please view here for details on EWP instructor policies regarding using UW-sponsored software, publicly available open software, and public writing for the context of service learning composition such as ENGL 121. Go to section 15: use of blogs and other forms of public writing in teaching. This assignment/course may involve using a non-UW-protected digital tool or writing on the public web. In accordance with the federal Family Education Rights and Privacy Act (FERPA), it is your right as a student to sign ‘yes’ or ‘no’ on the consent form regarding your privacy and making your writing potentially publicly accessible. If you don’t give consent or want to make your writing private or restricted-access such as password protection or giving access only to our class members, I will work with you to implement these accommodations which will have no effect on your assignment/course grade. All the work you do in this course, including your peer review work, is your property, and you have legal control over who has access to it. Eli Review is a platform for conducting peer review and revisions on your projects in this class; it is password protected, and peer review projects will be restricted to members of our class. Your work will be stored in a secure database accessible only to Eli developers for the purposes of site-wide, de-identified statistics or system diagnostics. Your name will be attached to the work stored in the program database, because you will create a profile in the system in order for the system to generate the individual reports you will see after you complete a peer review task. You do retain legal rights to your work. By agreeing to use Eli Review in this class, you are consenting to allowing your work to be non-anonymously stored on the Eli database. If you are not comfortable with this, you can use Canvas for peer review instead, and you will not be penalized in any way. I hereby DO/DO NOT consent to use Eli Review for course-related review and revision work in ENGL 131 during Spring 2014 quarter. I understand that consenting or not consenting to use Eli Review will not affect my grade in the course. Let’s say, you create a class blog or a collaborative website where students write for and interact with the public in some ways, you may be able to use a Creative Commons license with the consent of the students, specifically a Creative Commons Attribution-NonCommercial-ShareAlike 3.0 license. This blog post by Jack Dougherty, an associate professor of educational studies at Trinity College, includes a sample clause you can adapt and explains how he asks students to do public writing without violating the FERPA. If you’d like to learn more about FERPA in general, there’s an online UW FERPA Training that you can complete in 15-20 minutes to help you equip with recommendations and a reference guide. And as always, feel free to send us any specific questions to Sumyat or Kimberlee. Jack Dougherty, “Public Writing and Student Privacy,” in Web Writing: Why and How for Liberal Arts Teaching and Learning, ed. Jack Dougherty and Tennyson O’Donnell (University of Michigan Press/Trinity College ePress edition, 2014), http://epress.trincoll.edu/webwriting/chapter/dougherty-public. 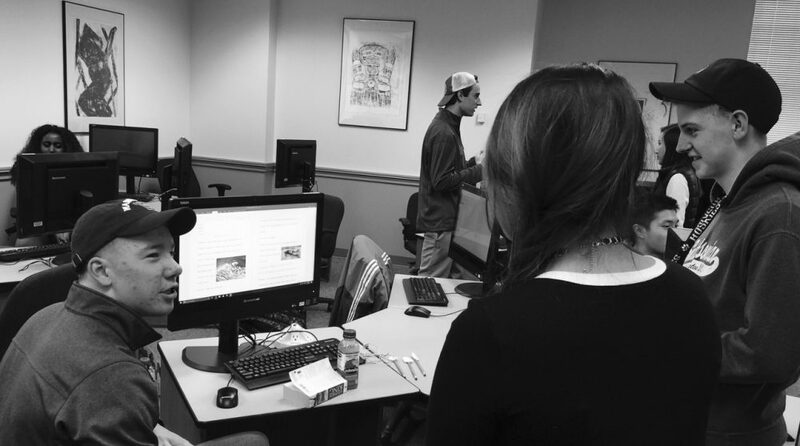 Even if you’re not teaching in the CIC’s computer lab classrooms, you probably do some form of tech-embedded multimodal assignment or pedagogy in your courses. We’ve found that, especially this quarter, it’s been a bit more difficult for instructors to get access to a computer classroom for their occasional pedagogical purposes. So we’d like to highlight options for reserving a computer classroom either for a one-time request or several days of a quarter. For some context: CIC has access to two computer classrooms in Mary Gates Hall, 076 and 082, in partnership with the iSchool. Our regularly reserved times for these classrooms are Monday thru Thursday from 8:30 a.m. to 1:30 p.m., while the iSchool gets access to these spaces after 1:30 p.m. On Fridays, we have access to Mary Gates 082 from 8:30 a.m. to 1:30 p.m. The iSchool has 082 after 1:30 p.m. and 076 all day. A good portion of our reserved times are filled with regularly scheduled CIC courses. When you need a computer classroom for specific times during a quarter, the first thing you should do is email the current CIC AD or Kimberlee Gillis-Bridges (CIC director) the dates/times you’d like to book a room. If your course meets during CIC’s reserved hours and no other course is scheduled, we can book you into Mary Gates 082 or 076. If your course meets outside our reserved hours, we can check with the iSchool coordinator to see if the iSchool is indeed using the CIC rooms for the times you’ve requested. If they are, we will forward your request to EWP program coordinator, Jake Huebsch, who can request the Mary Gates 033 or 044 computer classrooms. If you’re helping students learn a particular program or technical skill, you may not need to book lab space for in-class instruction. UW Learning Technologies provides free technology workshops and one-on-one consultations in Odegaard Learning Studio 102 throughout the year. If the above options don’t work out, you may request an Active Learning Classroom (ALC) in Mary Gates or Odegaard, or a Research Commons space in the Allen Library. In this case, you’ll have to ask students to bring a laptop/tablet or check one out through the UW Student Technology Loan program. Mary Gates has two ALCs (with no computers): MGH 058 and 295. If you’d like to reserve one of these rooms, contact Jake Huebsch, who can then process your request. The Research Commons in Allen Library South has three spaces that my work for your class: Green A, which seats 25, Red A, which seats a maximum of 16, and Red C, which seats a maximum of 18. You may check Research Commons availability and reserve a space here, and the Odegaard ALC schedule and one-time use request form is available here. Note that the Odegaard ALCs are general assignment classrooms. One-time use requests are considered after all classes that regularly meet in the ALC have been scheduled. We’ll continue to monitor how the use of computer classrooms increases or changes among our EWP instructors in the upcoming quarters and will advocate for more computer-integrated instructional spaces if we see an increasing need. Feel free to let us know your concerns or inquiries. Happy spring 2018, everyone! I’m introducing myself here as the new CIC assistant director serving from spring 2018 to the end of winter 2019. I’m Sumyat, a PhD student in English composition and rhetoric who’s taking her qualifying exams very soon (!) and does research in transnational, translingual literacies, anti-racist theory and pedagogy, and public scholarship. I have also worked in writing center space for a long time as an undergrad and grad student. Outside of CIC duties, I’m also serving as the chair for Praxis conference 2019. As far as how I can be a resource for those of you who are teaching a CIC course or a multimodal composition like ENGL 182, you can contact me for pedagogical discussions to practical concerns like reserving a CIC lab or visiting your class to do a Canvas e-portfolio workshop. As CIC ADs before me have consistently mentioned to the teachers, we don’t want CIC instructors to think that just because they’re teaching in CIC now, technology has to be a central issue in their pedagogy. Our suggestion is always to think of technology available in CIC rooms as a resource and not as a mandate. The level of tech engagement you do in class should depend on your pedagogical intentions and comfort level with the tech. For example, some instructors do peer-reviews electronically on Canvas, but some just prefer low use of technology such as having students read an article on the screen instead of distributing hard copies. During my CIC AD term, I’ll be posting periodically blog posts that detail CIC workshop events we’ll have had or discuss some kind of pedagogical issues that involve technology and multimodality. Kimberlee and I will also continue to add teaching resources to our CIC website. And stay tuned for the quarterly CIC workshop events! In the meantime, please feel free to contact me at smthu@uw.edu to discuss any CIC related issue. My office hours this quarter are: Mon 10-noon (Padelford A-11), Tue 10-noon (MGH 088), and Wed 10-noon (Padelford A-11). Workshop participants from UW Libraries, EWP, IWP, and CIC. CIC recently partnered with UW Libraries Research Commons to offer a workshop on digital storytelling for instructors to learn more about representing research in video form. 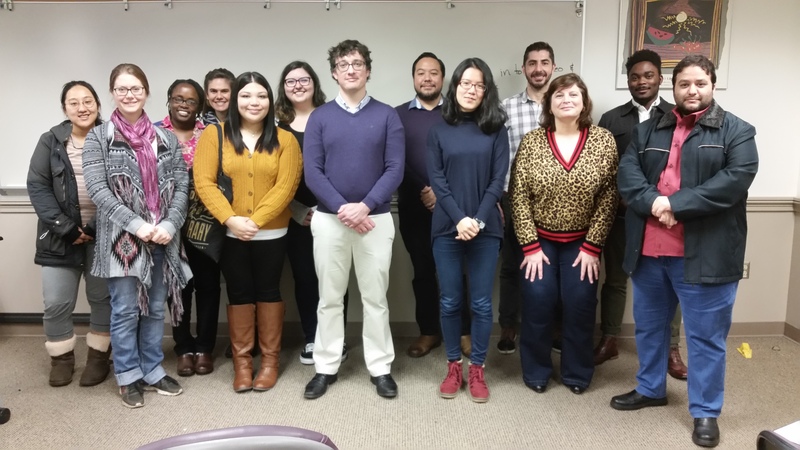 The Research Commons typically offers a Digital Storytelling Fellowship (DSF) for ten graduate students on a quarterly basis, and many instructors in the English Department and beyond have expressed interest in these projects. There are natural connections to public scholarship and the recently updated Expository Writing Program (EWP) course outcomes for 100-level composition courses that include a multimodal approach. Some instructors who attended from the Interdisciplinary Writing Program (IWP) specifically wanted to make their research findings on disciplinary topics more accessible to communities they work with and research such as health topics in east Africa and fisheries. Matt Howard, an EWP instructor who had previously participated in the more extended DSF, was originally interested in “platforms for conveying research in a fast, efficient, and memorable way” and feels that he gained “a good grasp on building narratives with imagery, sound, and purpose.” He is now building a sizable portion of his own research upon technological composition practices, and he’d like the broader strokes of the project to be more publicly accessible. He intends for his students to create their own digital storytelling projects this quarter. For other instructors interested in digital storytelling, he advises thorough scaffolding and explaining the necessary elements of creating such a project. 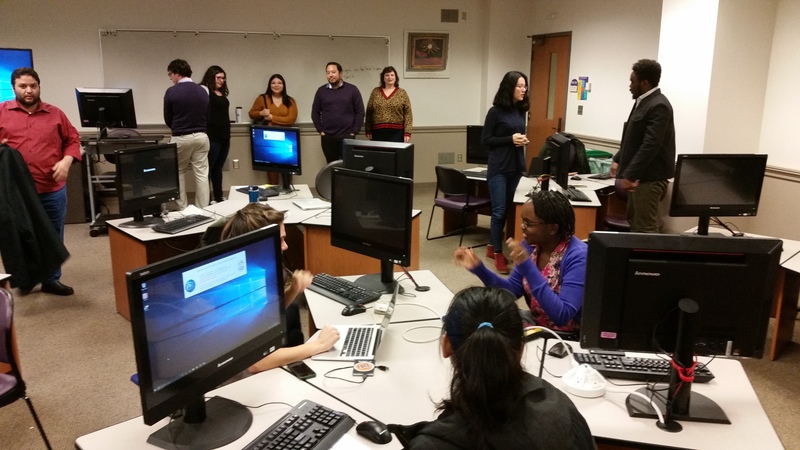 The recent CIC workshop focused on how to use digital storytelling in a classroom. As an initial activity before meeting, participants were asked to create a short introduction video and post it to a group chat. For this particular workshop, the Research commons used WeVideo for editing and Slack for group chat. 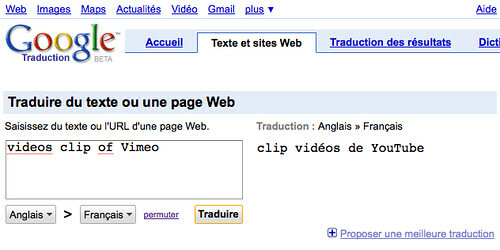 The prompt itself was given as a video that used screencasting to show the basic editing functions of WeVideo. It also asked participants to write a script to introduce three things into a short digital story: name, favorite food or hobby, and why they were excited about research. They should include images that connected with the information in this introduction. The finished videos were posted onto Slack so that the other workshop participants could view them and respond before meeting. During the workshop, the librarians played several of the introductory videos as a way of prompting discussion about different editing tools and features participants had discovered and used in various ways (like subtitles or audio) as well as different rhetorical strategies and new kinds of meaning that came from combining words, images, and other resources. Elliott Stevens and Perry Yee explained that there are several reasons for this activity. First, participants who are intimidated by technology have time and space to learn how to navigate features of the video editing program. Second, fostering community and communication around these video research projects is one of the biggest draws for most DSF participants. 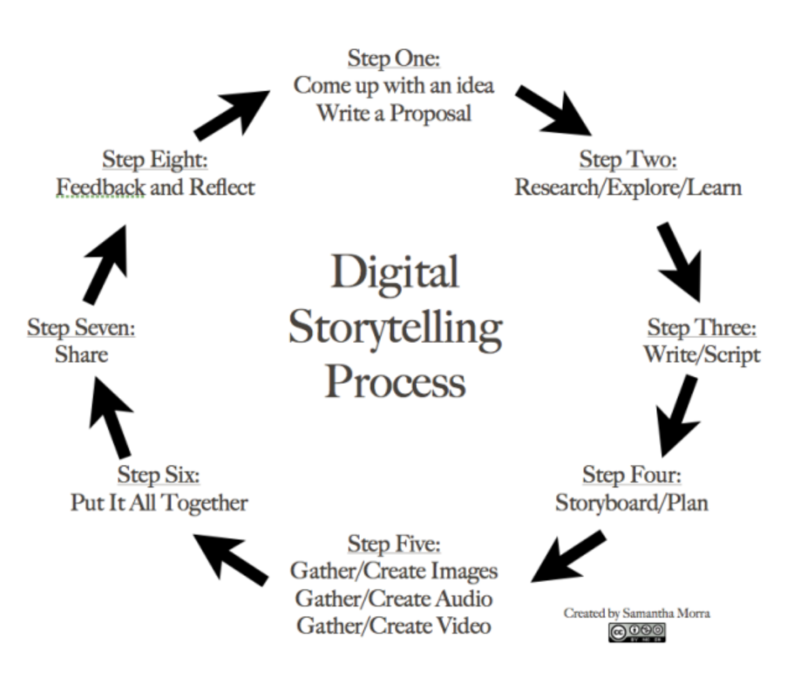 Stevens and Yee typically use a process approach when introducing digital storytelling to students based on the work of Samantha Mora. A graphic with composition stages from Samantha Morra shared during the workshop. The section on “Getting Started” includes topics like conceptualizing your story; finding audio, video, and images for use; considering ethics and participation; and storyboarding and scripting your story. There are also some example projects that can be used as models. On the technological support side, UW Information Technology offers regularly scheduled workshops for students and instructors on the Seattle campus that cover how to use particular technology and software resources, especially audio and video editing programs and platforms. Instructors can gain familiarity with programs students may be using, and/or students can be asked to attend a session of their choice on a program that will help them complete their intended project. The UW-IT calendar with upcoming events is available here: https://itconnect.uw.edu/learn/workshops/. They can also be contacted to request a classroom instruction session if there is a particular program all students will be using. As an interface with other kinds of writing, the process approach to digital storytelling can be combined with more traditional written project proposals, submitting other formats of research that are then translated to a digital project (or vice versa), incorporating writers’ memos or reflection statements to identify rhetorical choices and intended effects. For composition classes specifically, issues related to drafting and feedback are also important. Some free program options for providing video feedback include Panopto and Screencast-o-matic for recording screen casts. This would allow an instructor or fellow students to watch, pause, and respond to a video at specific points and provide audio commentary feedback on an individual basis. As a web-based alternative through the University of Minnesota, VideoAnt provides a way of annotating a video with written comments connected to certain time points in a video. It also makes collaborative feedback available since anyone with a link to the same video annotation project can add more written comments. Workshop participants converse about their introductory video projects and research. A few weeks ago, we had a CIC workshop on gaming & gamification in composition. This post will be a summary, follow-up, expansion, and resource bank of some of the key take-aways for teachers and researchers interested in the potential for gaming and play in teaching composition. Workshop participants show off their meeples from one of the workshop activities. Multimodal resources excerpted include Writer/Designer by Kristen Arola, Jennifer Sheppard, and Cheryl Ball, “A Pedagogy of Multiliteracies” from the New London Group, and “Video Game Literacy” by Kurt Squire. Since many CIC instructors hold a variety of teaching philosophies and approaches to the level of technology integration in their classes, we also find it useful to identify ways that gaming and play can be used along an integration spectrum. As a caveat, there are many additional ways that gaming can take place in classes, so this is not an exhaustive set of examples, but rather a starting point. This game was featured on Scratch and received positive reviews. Reflection writing revealed the students’ composition process and intentions. Skyrim character images subject to creative commons license from Wikia. In the following class activity, various students’ experiences and responses were used to refine the conception of inquiry in research. Students responded to a set of questions using Survey Monkey, and the class moved from a basic binary question like, “Which side did you choose?” to identifying better non-binary questions and then moving to more nuanced research questions like, “To what extent are the Stormcloaks justified in the civil war?” The choices players were given from the game designers on any issue in time remained open for investigation and connection to real-world issues. Students also practiced framing evidence for their own purposes with the graphs produced from class responses. These were also issues they were invested in through play experience, rather than an abstract research topic that they might not feel authorized to write about yet. Graphs generated by student participants using Survey Monkey. 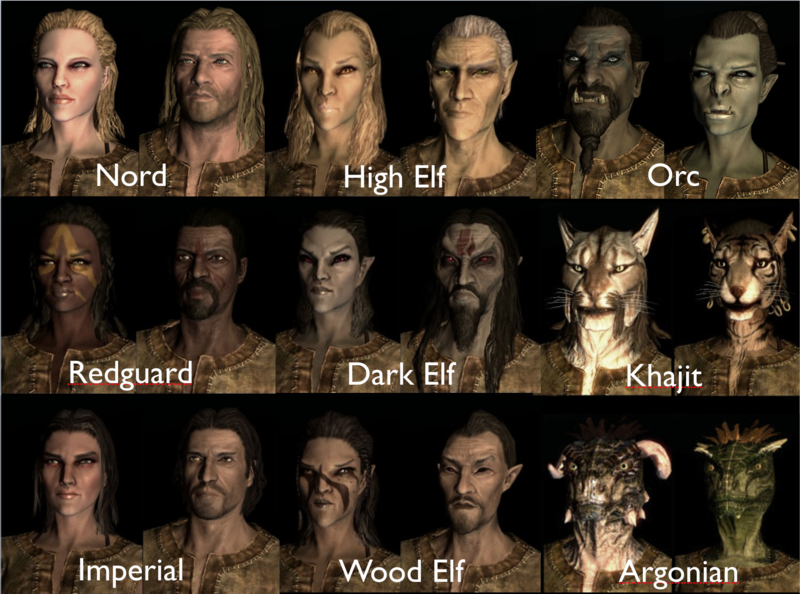 In the game Skyrim – like many others – players also choose to develop “skill tree” items as they level up depending on their play style. For example, they may choose skills to develop related to a warrior (heavy armor, archery, smithing, etc. ), mage (illusion, conjuration, destruction, etc. ), or thief (light armor, lock-picking, sneak, etc.). In order to start owning the language of the outcomes and create a revision plan during the portfolio sequence, students created analogies between the available Skyrim skill tree items and EWP course outcomes. This also modeled the way students could enter the discourse communities of their majors beyond the game and the composition class. Who is involved in developing assessment criteria and how are students internalizing criteria? Here are some resources available on and beyond campus to explore how you might implement some of these ideas or some of your own. While many of these examples and resources tend to follow digital medium games, it is important to note that the same play and gaming principles can be available through table top gaming as well. The UW library system is currently acquiring table top gaming resources that should be available for the 2017-2018 academic year. Please check with the UW English Studies Librarian Faye Christenberry for questions or updates. Hi everyone, welcome to Spring 2017 in the CIC! This post is to briefly introduce myself and ways I might be a resource for your computer integrated teaching, learning, and research this year. If you start teaching in CIC or ENGL 182 this year, you’ll definitely meet me during your orientation. I’m currently a PhD student in the English department’s language and rhetoric program and chair of the annual UW Praxis Conference. I have a background in TESOL and applied linguistics, and my research interests focus on how and why people move across language and modalities in their literacy and composition practices. I’m also interested in gaming and critical pedagogies. CIC supports many levels of technology integration in our classes and spaces, from minimally to fully integrated. You don’t have to fundamentally change your teaching philosophy for CIC, but can adapt your teaching to the available technology. If you don’t have a regularly scheduled class in one of the CIC computer labs, but want to reserve a space for a specific class activity like peer review, research, an eportfolio session, or anything else, I’m the one to contact. If you’re not sure what you would use a CIC computer lab for, let’s talk about the possibilities! You can reach me at hshelton [at] uw.edu and my office hours for each quarter are posted here. If you have an emergency with technology in the CIC rooms, check with the ischool first, but I can also help troubleshoot in a pinch. I look forward to working with you this year! A couple of weeks ago, we held a workshop for all teachers in the English Department, focusing on how to teach the ePortfolio technology to students. Because faculty found it so helpful, we wanted to follow up with a blog post overviewing how to introduce the technology to students, particularly to provide resources for how to teach the technology for EWP ePortfolios. Before you explain the technology, we recommend that you spend a class period (at least 50 minutes) to introduce the concept of the ePortfolio to your students and detail the assignment requirements. Here is a sample powerpoint, prompt and checklist for EWP students. To introduce the technology of the ePortfolio, you can follow this sample lesson plan. I have also created a screencast of how I explain the technology to EWP students, which you can watch to prepare for your own explanation or share with students. This would be particularly helpful to share with any absent students. Budget at least 50 minutes. Be sure to have a projector available so you can model the technology as you set up. Ask your students to bring laptops or tablets to class. Phones are not the best for this kind of work. For those that need access to a laptop, refer them to rental availability through the UW-IT Classroom Technology’s Student Technology Loan Program. Before the introduction to the technology, be sure to set up the portfolio assignment, publish it, make it available for students to submit, and select URL submission only. We hope this information helps! Please let us know if you have any questions, or contact one of the EWP Assistant Directors.